At Blooming Crafty Jessica Notley teaches traditional willow weaving, floristry and paper making workshops in community and educational settings across Lincolnshire. Jessica’s approach is stimulating, refreshing and extremely therapeutic. All courses have been developed in a non-competitive environment; enabling a space that is conducive for inspiring crafts people to learn. Each workshops accommodates beginners or intermediates who enjoy working with like-minded people in an inspiring environment. The workshops are run from our various villages hall in Lincolnshire, including Digby, Leasingham, Grantham, Scothern, Horbling and Bourne. If you are interested in enrolling on one of the courses, please do not hesitate to contact us for further details and to check course availability. 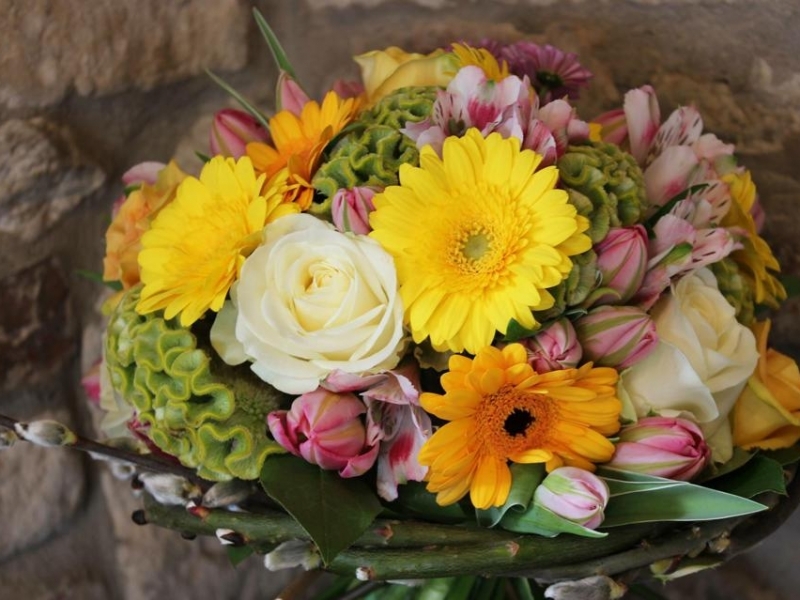 Inspired by the seasons we can create symbolic flowers with personality that are creatively different in every way. Whether you are simply looking for office flowers or stunning entrance displays; we are here to support and indulge you. Learn a new craft skill.